Murali Vijay took to Twitter to congratulate the team but did not mention Karthik's name in his congratulatory tweet. 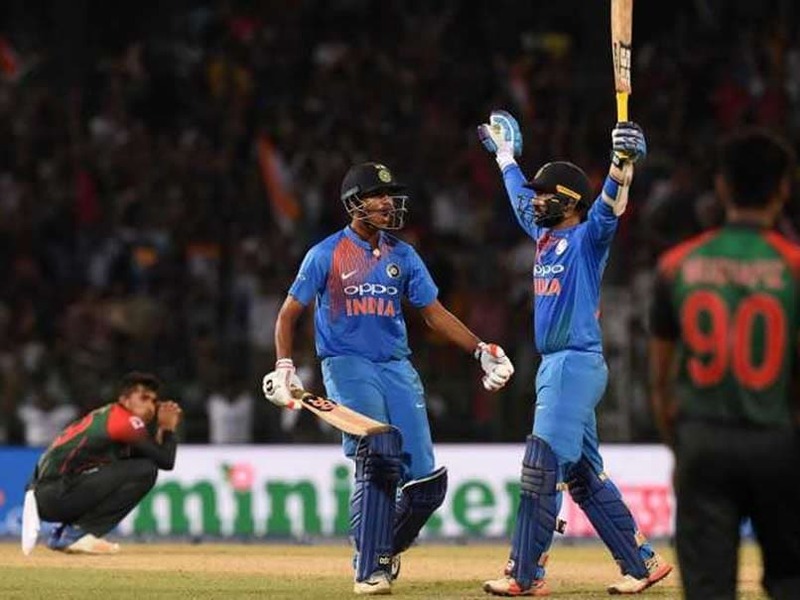 Dinesh Karthik refused to throw in the towel and produced one of the best knocks of his career to blast 29 off 8 balls as India beat Bangladesh by four wickets to win the Nidahas Trophy final in Colombo on Sunday. Needing five runs off the last ball, Karthik hit a flat-bat six over extra cover to keep India's T20I record against Bangladesh intact. 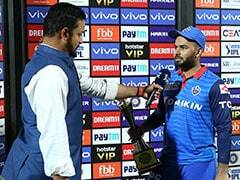 Karthik, with his aggressive yet composed batting, turned the match on its head when he walked out to bat after Manish Pandey's fall and hit two sixes and as many fours in the 19th over to add vital 22 runs to India's score. 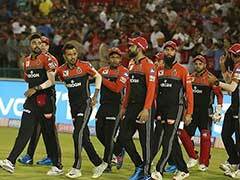 After the win, veteran Indian cricketer Murali Vijay took to Twitter to congratulate the team but did not mention Karthik's name in his congratulatory tweet. For the uninitiated, the two Tamil Nadu cricketers were good friends in the past but do not share the same bond anymore as Karthik's ex-wife Nikita is now married to Vijay. Dear MVJ..we expect you mention or write few words for Dinesh K too. Only mentioned BCCI? Well, I was expecting you to appreciate tonight's hero as well. Forget the bad blood between you two for a minute and do what's right to do as a person! Macha, being professional cricketers, hope nee #DK va wish panradhu dhaan correct. That shines ur character. Cool. murali vijay did not watch karthik betting ???????? Dude, for real. Grow up!! Earlier, Rohit Sharma won the toss and chose to bowl. Riding on the back of a well-made half-century from Sabbir Rahman, Bangladesh put up a total of 166/8 in their quota of 20 overs. In reply, Rohit gave India a flying start but lost Shikhar Dhawan (10) and Suresh Raina (0) in six balls to slip to 32/2 in 3.3 overs. Rohit kept the scoring rate high and along with KL Rahul put on 51 runs for the third wicket in six overs to keep India in the hunt. Rahul scored 24 off 14 balls and his wicket slowed down India's scoring rate drastically. Rohit fell for 56 to Nazmul Islam in the 14th over with India needing 69 in 40 balls. In the end, India managed to score 168/6, courtesy skipper Rohit's 14th T20I half-century and a composed finish from Dinesh Karthik.